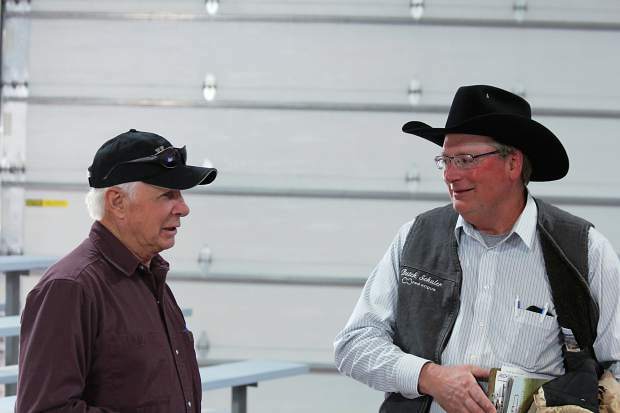 Frank Wedel, Wedel Red Angus, Leoti, KS and Butch Schuler at the 34th Annual Schuler Red Angus bull sale. 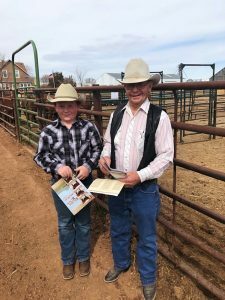 Bull buyers from eight states braved snow-covered roads or participated on-line for the Schuler Red Angus 34th Annual Bull Sale, which was held March 24th at the ranch near Bridgeport, Nebraska. 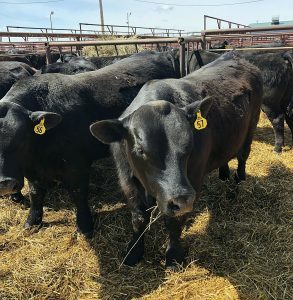 The Schuler program has 40 years of experience in performance testing cattle and using the data to improve traits of economic relevance for commercial ranchers and the feedlots that buy their calves. Schuler Red Angus customers have received numerous GridMaster awards for producing cattle with outstanding carcass merit while profiting from their generations of selection pressure for reproductive and maternal traits that are required to “Get the Cow Right First.” The average bull in this offering significantly exceeded the Red Angus breed average for both HerdBuilder and GridMaster indices. 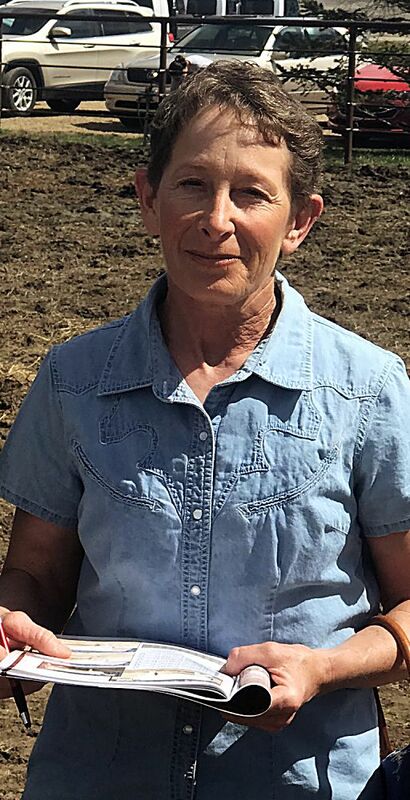 Croissant Red Angus of Briggsdale, CO and Koester Red Angus of Steele, ND purchased the top selling Red Angus bull, Lot 5 – Schuler Confidence C810, a Defender 560-30Z son at $25,000 for one-half interest and full possession. 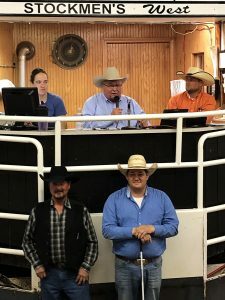 Repeat customer, Solid Rock Red Angus of Limon, CO took home Lot 39, also a Defender 560-30Z son at $11,000 for one-half interest and full possession. Janssen Red Angus of Geneseo, KS purchased the third high-selling Red Angus bull, Lot 4, a top 1% GridMaster son of Defender 560-30Z for $10,000. Harold Thomas, Fort Laramie, WY purchased Lot 6, a Schuler Rebel son for $8,500. CK Ranch, Brookville, KS took home Lot 35, a Defender 560-30Z son, also for $8,500. Schuler Red Angus Composite bulls provide ranchers the most user-friendly solution to improve profitability in the cowherd from heterosis and breed complements, without increasing mature cow size or sacrificing the “convenience traits” of Red Angus. The Schuler Red bulls sold into CO, FL, KS, NE, OR, and WY, with most buyers purchasing multiple bulls. The high-selling Schuler Red Composite bull was Lot 134, an outstanding calving-ease to yearling spread bull that ranked in the top 1% on the Red Angus GridMaster index. He was purchased by repeat customer, Wilson Ranch of Lakeside, NE for $9,750. 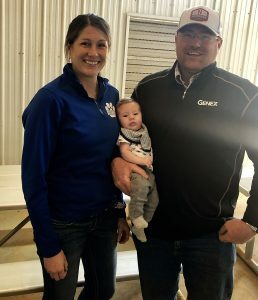 Repeat customers of the Schuler program, Kenansville Cattle Company, FL and Cullan Farms, NE returned to make volume selections from the 34th annual offering.